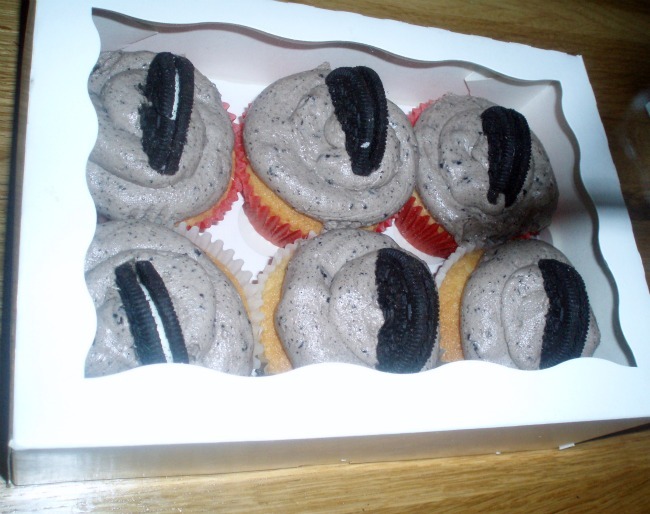 It’s not an original idea, but I’ve been thinking of making these for ages: Cupcakes with Oreo Cookie Buttercream. So here they are, Vanilla Cupcakes with Oreo Cookies ‘n’ Cream Buttercream, topped with half an Oreo each, for good measure. This entry was posted in Buttercream, Cupcakes, Flavour, Vanilla and tagged buttercream, cupcake. Bookmark the permalink.